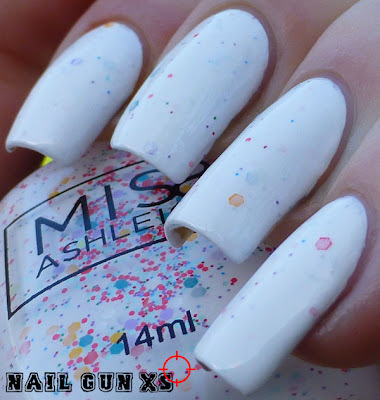 Miss Ashleigh : Swatch Fest part two! First up, Baby's Got The Blues. This shot is taken in indirect light. 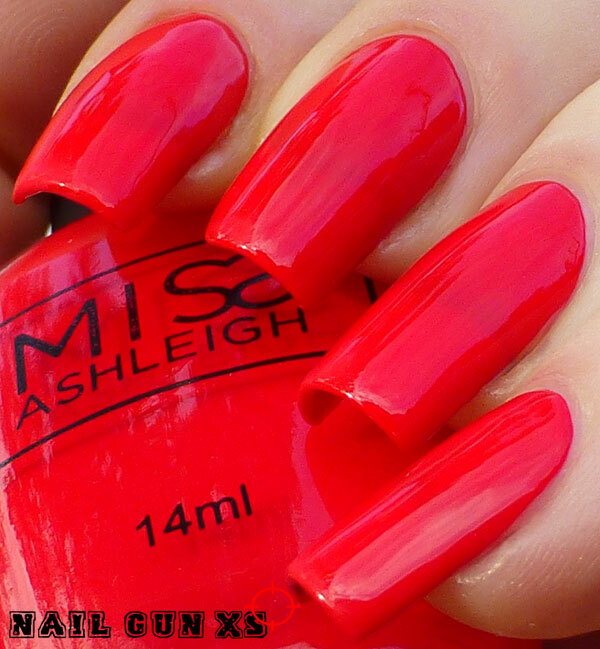 Here is another shot of BGTB, this time taken in direct light with some Miss Ashleigh 'Diamonds darling' added to the mani. 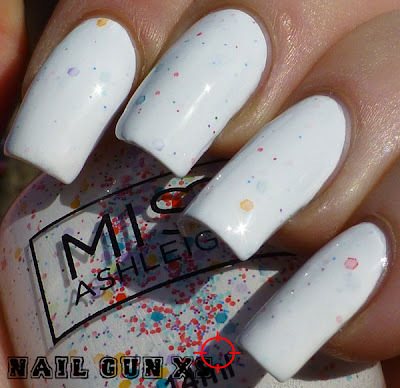 This is an unreleased Miss Ashleigh called Betty Confetti. We absolutely love this stark white glitter mix and will be releasing it as soon as possible - we are currently waiting on some new bottles and this little baby will be getting pumped out as soon as they arrive! This is Betty Confetti in direct sunlight. And here it is again in indirect light. 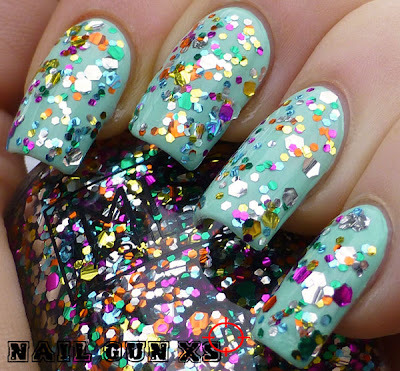 Below is Bec's swatch of Pin-Up Girl! 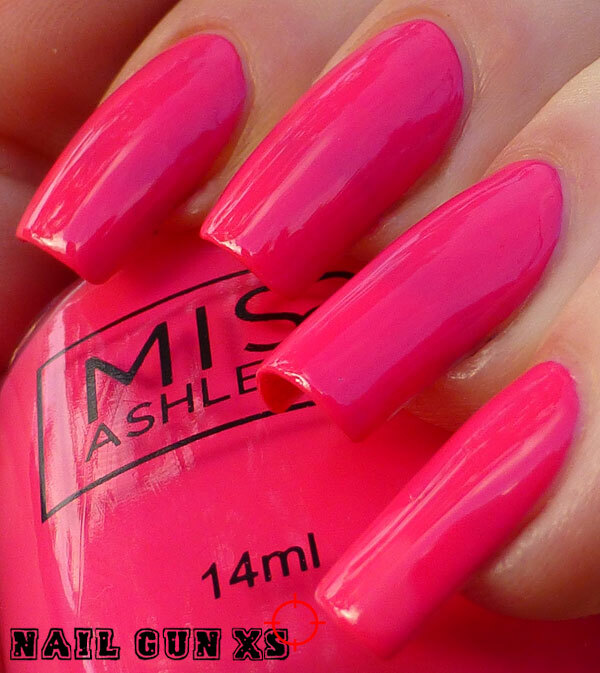 Too Hot To Be Blue is a dusty pink that looks divine on Bec! Below is another unreleased Miss Ashleigh - and this one is also unnamed! Feel free to email or comment any name suggestions you may have - if we pick your name then you've won yourself a free bottle once it's released! 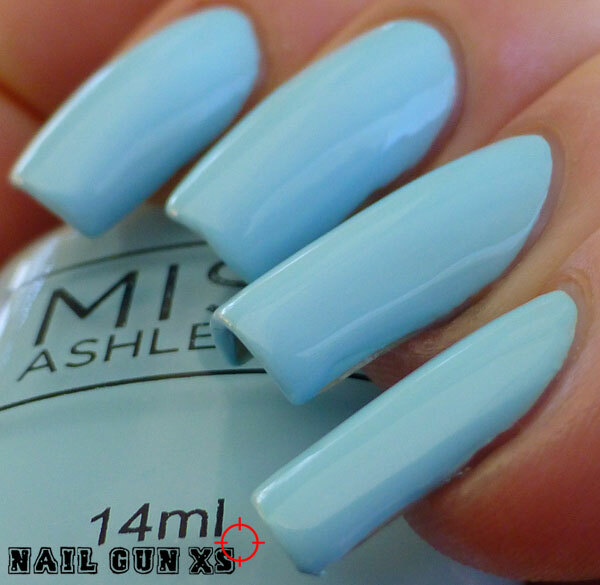 Finishing up with one of my summer faves for the tootsies - A Pastel Experi-mint. And of course, to take your mani from daytime to night time - a coat of Mardi Gras, bound to get any party started!